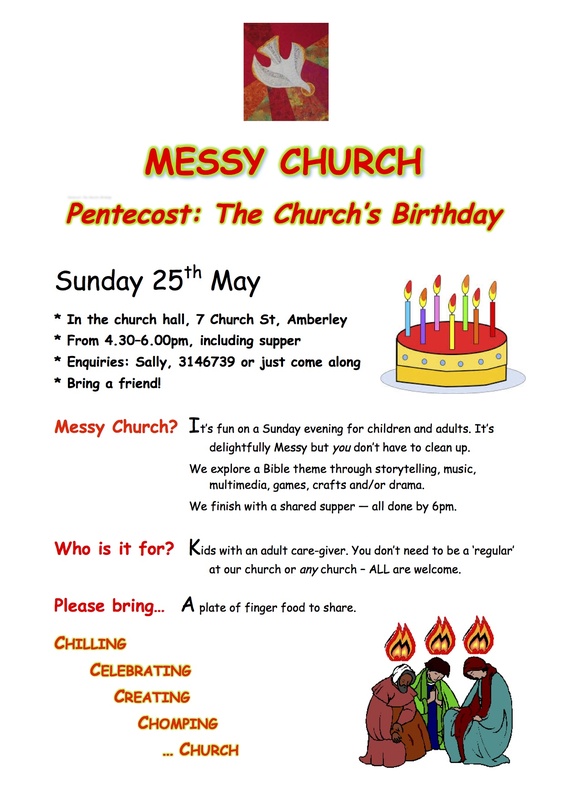 Messy Church will take place again this Sunday—music, Bible stories, crafts, baking and a shared supper to end. Everyone is welcome. Details in the poster below. See you there. This entry was posted in Anglican church, Children and families, Messy Church and tagged Pentecost. Bookmark the permalink.